On Wednesday night I attended Chelsea’s new BFX Studio launch party, celebrating with an evening of complimentary classes, private training sessions, cocktails and giveaways. 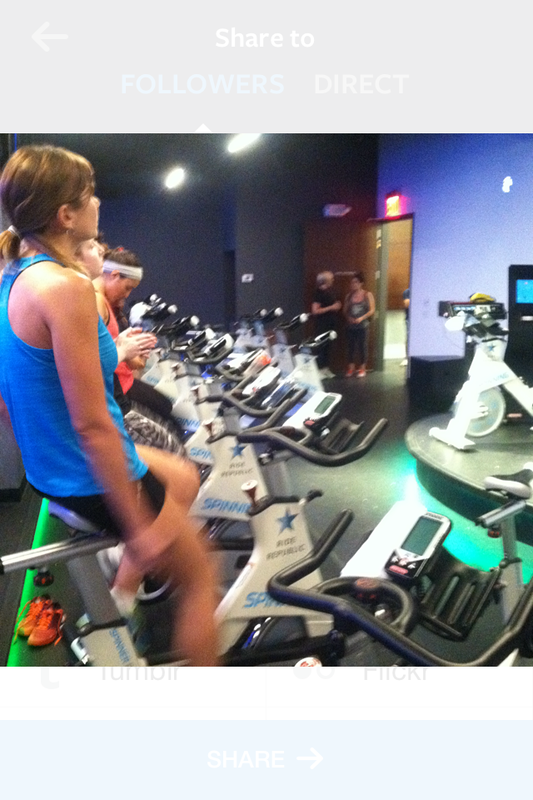 Of course, I signed up for a class–because, why not?–and chose the 7:15pm Fusion Ride with Juan. 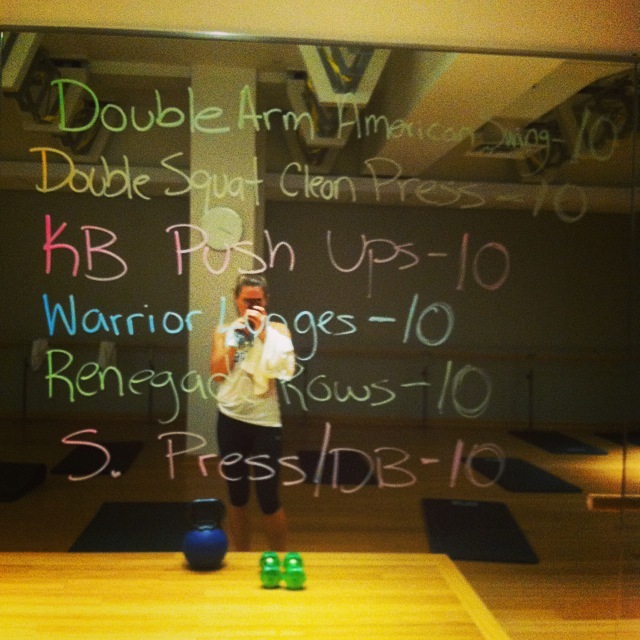 Split into two parts, the first half of the class was in the spin studio, then took to another room full of kettlebells, weights, and full-length mirrors. We got our bodyweight workouts and functional movements in by doing one minute each of the workouts you see posted on the mirror, followed by a 5-minute power workout doing as many sets of 10 reps of each movement as possible. We finished with an ab workout, and some much-needed stretching. 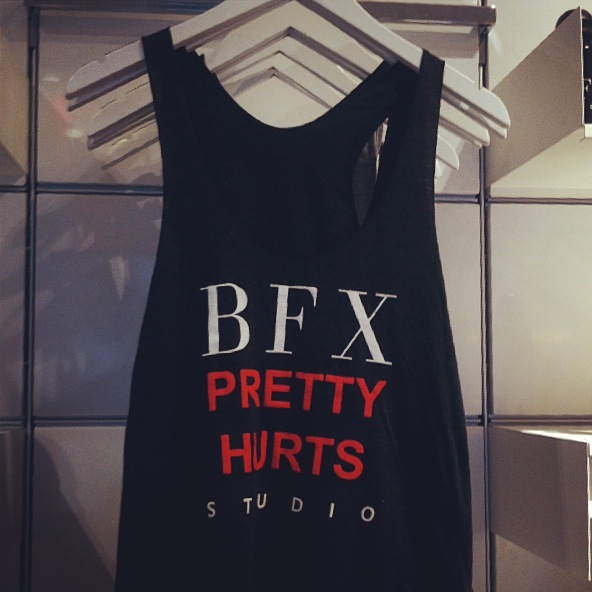 I walked away from the night with that good, sore feeling, and this amazing, Beyonce-inspired tank top, available for purchase at BFX Studio. I recommend paying them a visit!